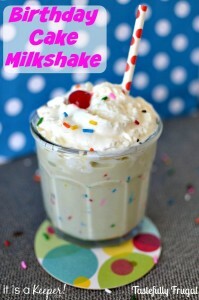 Put ice cream, milk and sprinkles in a blender. Blend on medium low for 10-15 seconds or until desired consistency is reached. Top with whipped cream, sprinkles and maraschino cherries.